Call The Midwife: why it's not a cosy Sunday night drama. Nicole Kidman on her new film, Lion. Raising a family on a vegan diet. Miriam Margolyes. And the radical Anne Bronte. 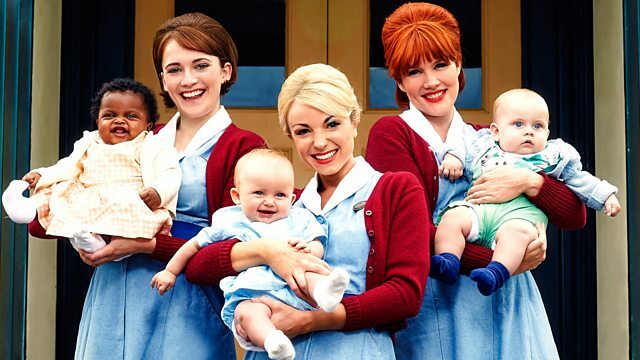 As Call The Midwife returns to our screens we hear from it's creator and Executive Producer, Heidi Thomas. She shares some of the upcoming story lines including Thalidomide and FGM. The actor Miriam Margolyes talks about her life and career as part of our series 'The Chain'. How easy was it to raise a family on a vegan diet in the 1970s? Joanne O'Connell the author of The Homemade Vegan and Dilys Cluer who has been a vegan since 1948 discuss. Older parents: we hear from Sue Tollefsen who gave birth to her daughter Freya when she was 57 and Charlotte who is now 23 about what it's like to have an older dad. Nicole Kidman talks about her new film 'Lion' based on the true story of a five year old boy who gets lost on the streets of Calcutta and ends up being adopted by a couple in Australia. The poet Theresa Lola performs her poem 'Notes on Loving Your Grandfather with Dementia'. Samantha Ellis, author of a new book Take Courage, tells us why she believes Anne Bronte's writing is every bit as accomplished and radical as her sisters' work.